I don’t even know if this is what Switzerland even looks like except in my mind. 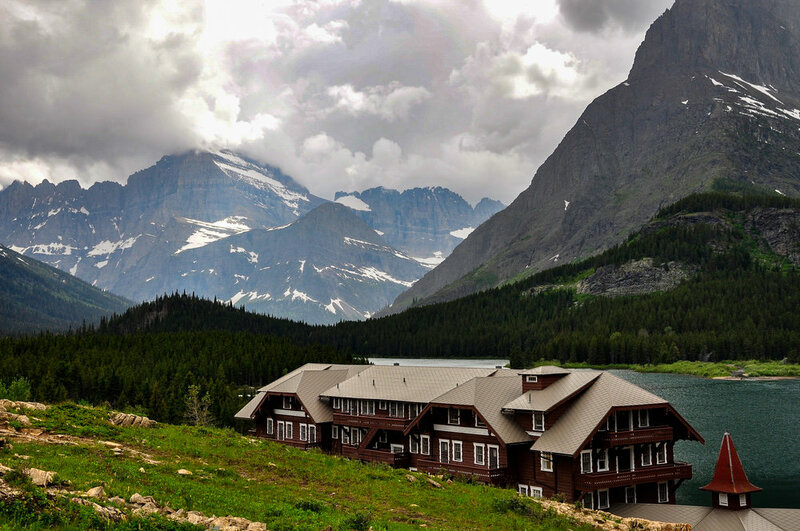 This is the lodge at Many Glacier in Glacier National Park. We actually stayed here, our only night not in the Rialta a few years ago traveling in the northern Rockies. It was an interesting place built years ago by the Northern Pacific Railroad to enhance their business by bring tourists to the wonders of Glacier. A distant relative, Tomar Jacob Hileman (https://en.wikipedia.org/wiki/T._J._Hileman) who was well-known for his Native American photos was hired to shoot photos of Glacier to entice folks to the region.